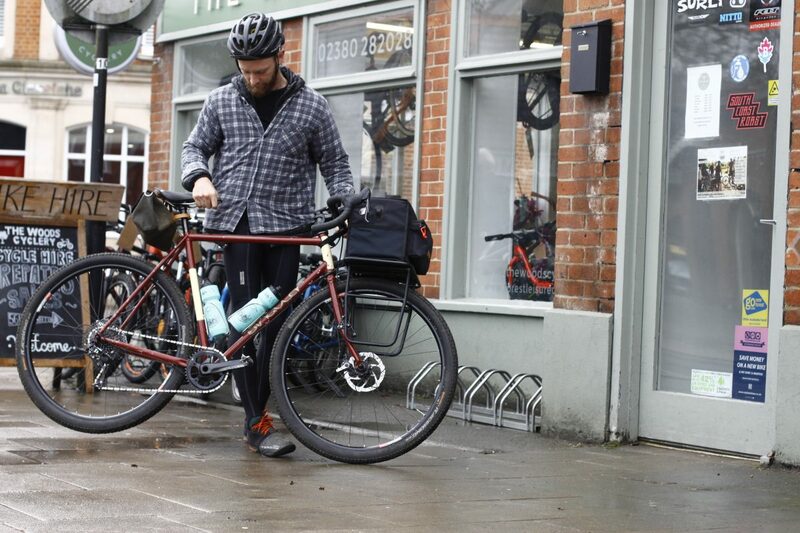 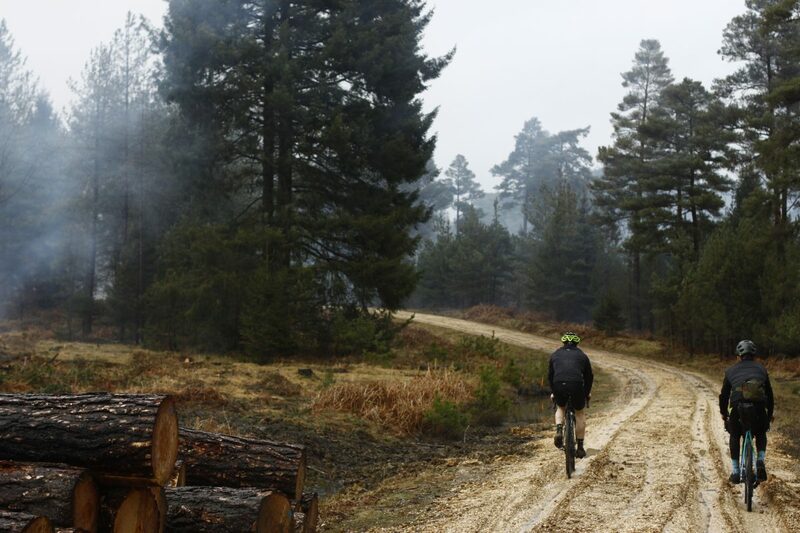 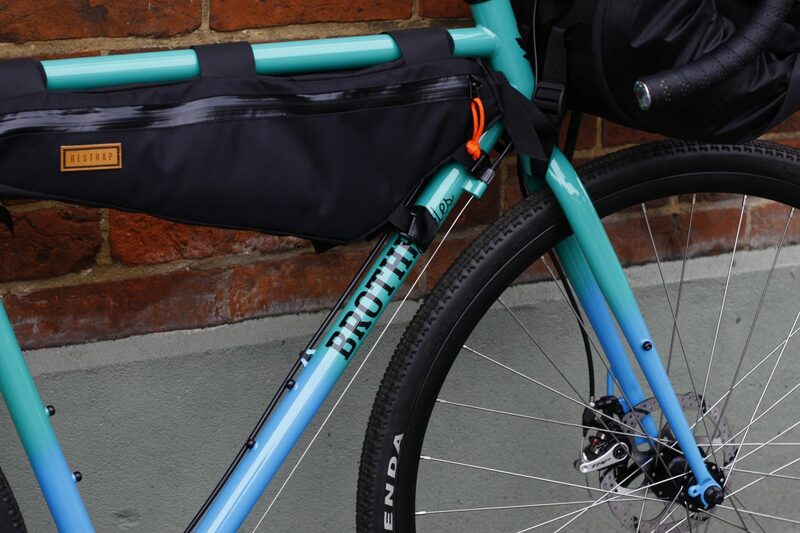 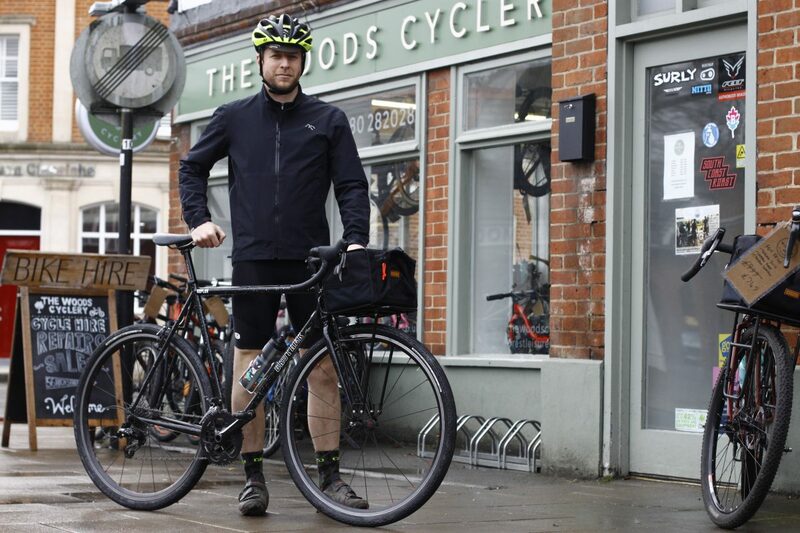 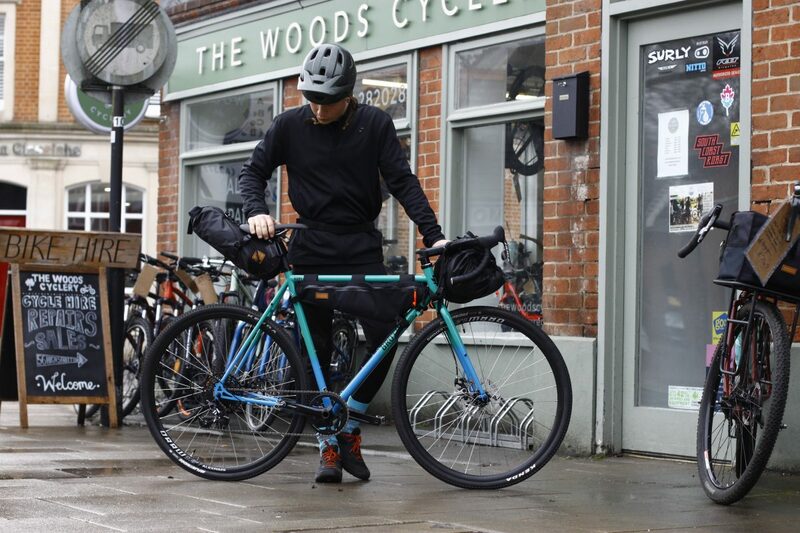 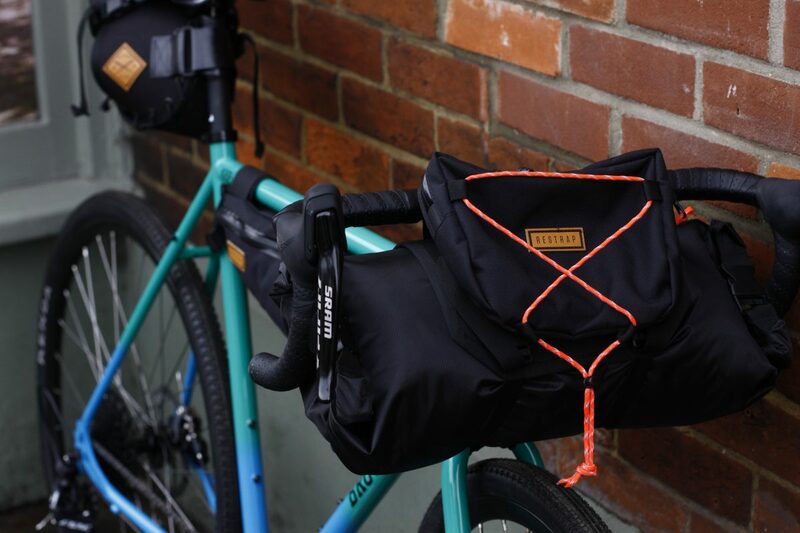 Last weekend we packed up the new Kepler Disc with a load of Restrap bikepacking gear and made our way to see Tom and Oscar from The Woods Cyclery in the heart of the New Forest. 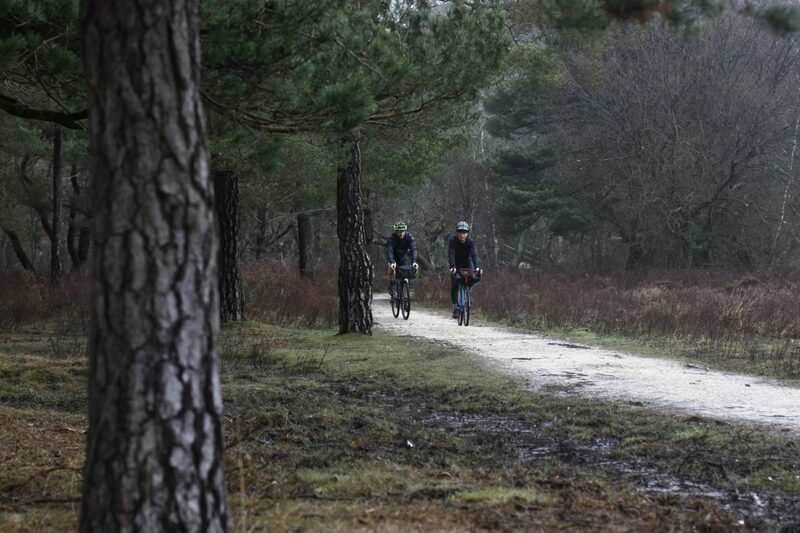 Our aim was to hit some of the gravel trails that criss cross the forest, putting the new Kepler Disc to the test on a range of different road surfaces and eventually find our way to a pub for food and beer! 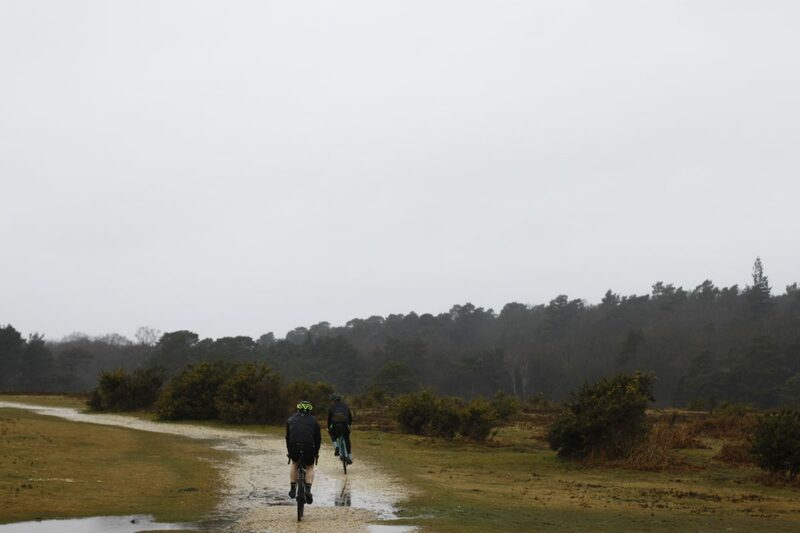 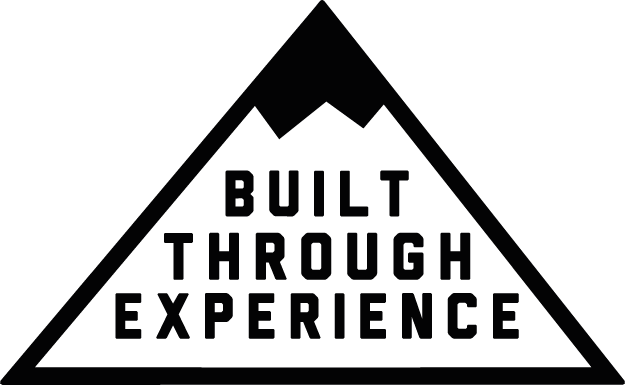 It pissed down with rain from the moment we left the shop, putting both bikes and riders to the test as the gravel turned to slush and the grass to mud. 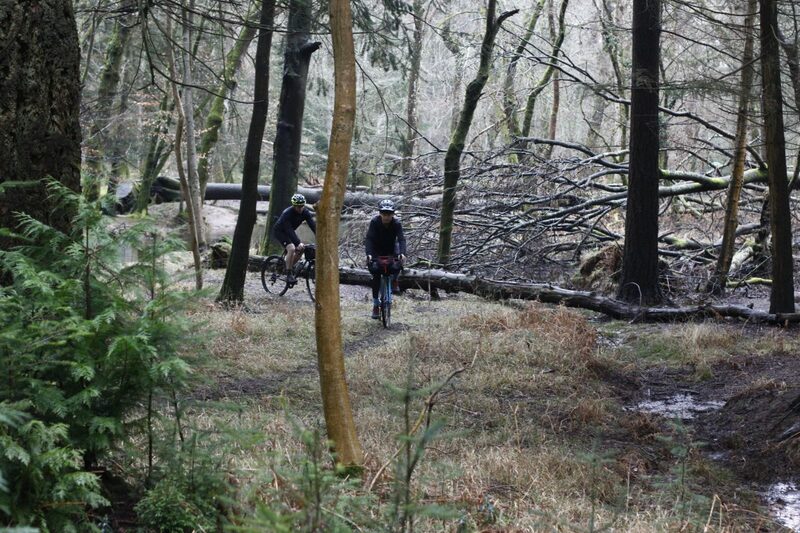 It was completely different conditions from the last time I rode here in the dry heat of the summer. 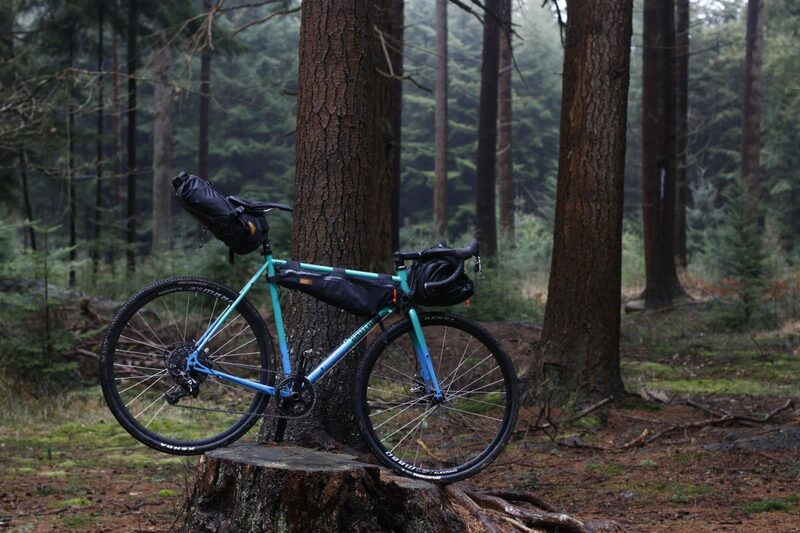 However I have to say I almost prefer it like this – the forest is silent and a mist hangs low among the trees. 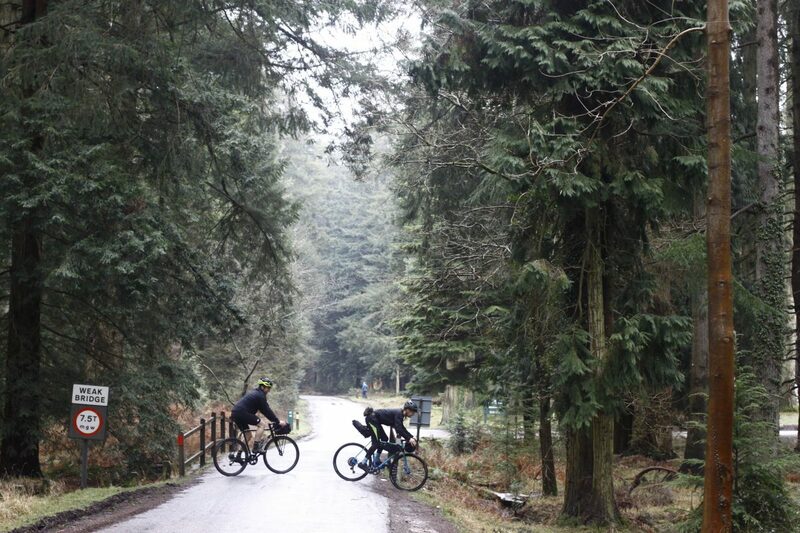 Tom and Oscar proved their expert knowledge of the forest and took us on a fantastic route – switching from tarmac to gravel and even onto some muddy single track. 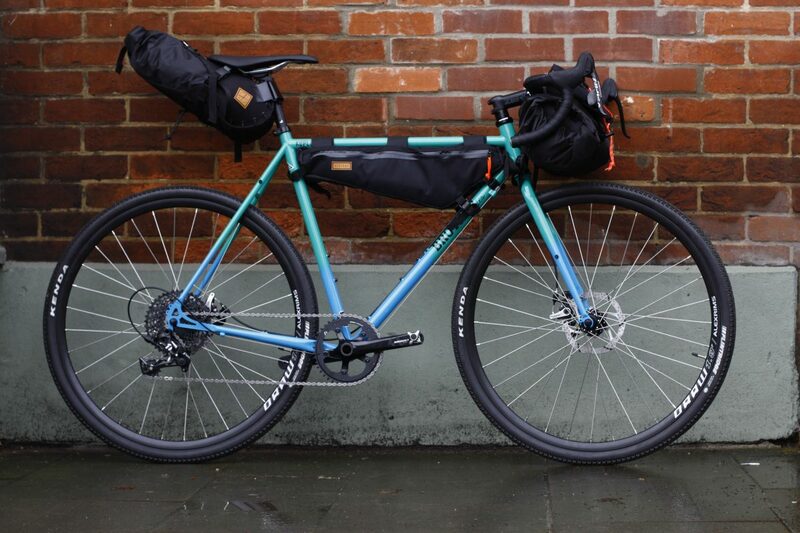 I’m happy to say the Kepler ate up everything we could throw at it. 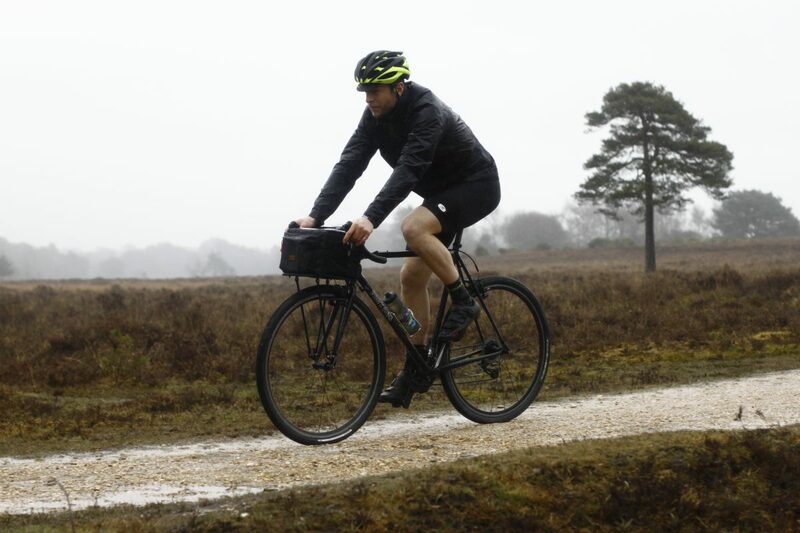 This year we’ve specced the complete bike with Kenda Flintridge tyres which are a fantastic on all surfaces, and the upgraded TRP Spyre brakes perform just as well in the wet as the dry. 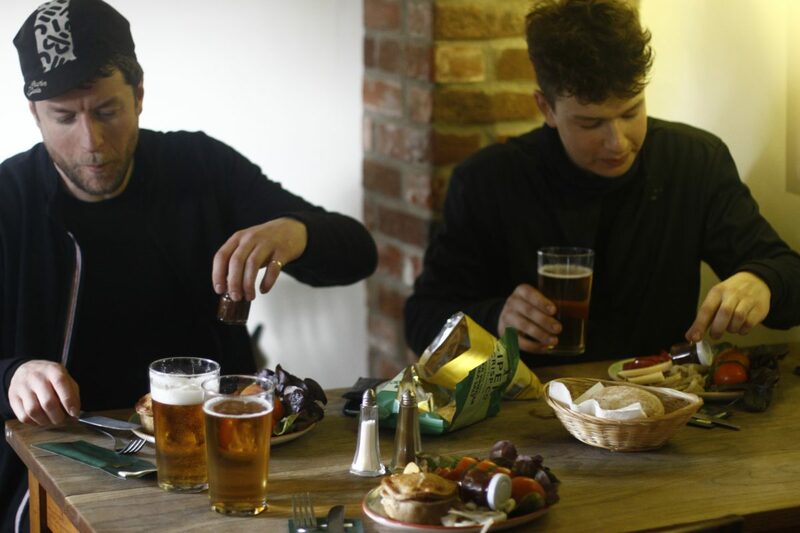 The day finished as all good rides should – in a pub, next to a fire with three big plates of food in front of us. 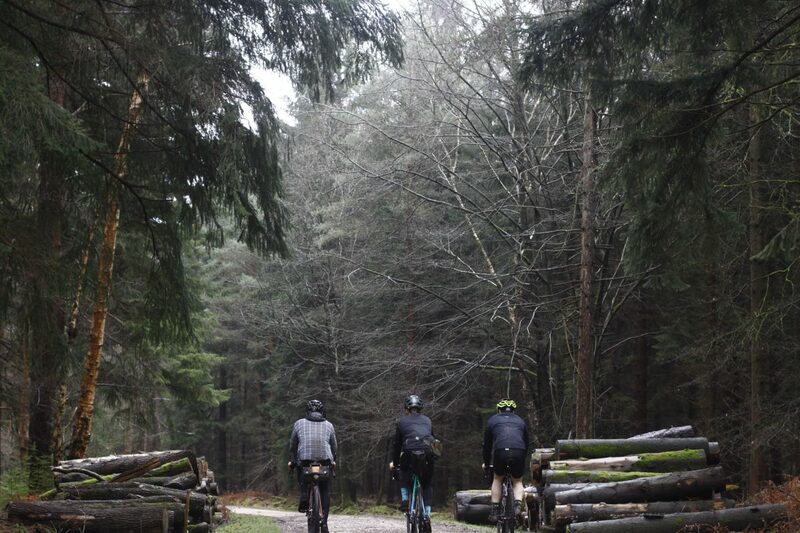 All in all it was a good day out on the bikes in very good company! 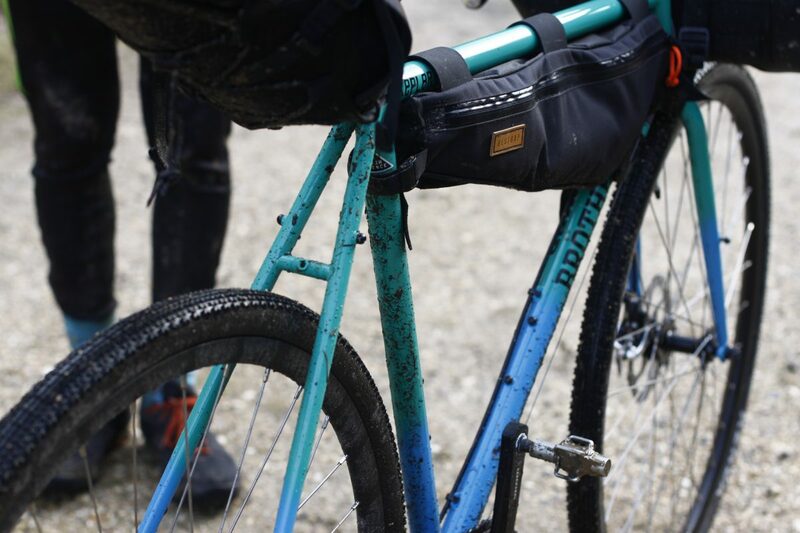 The Kepler Disc complete bikes will be available a bit later in the Spring however framesets are now in stock and available to buy online and from your local Brother dealer.